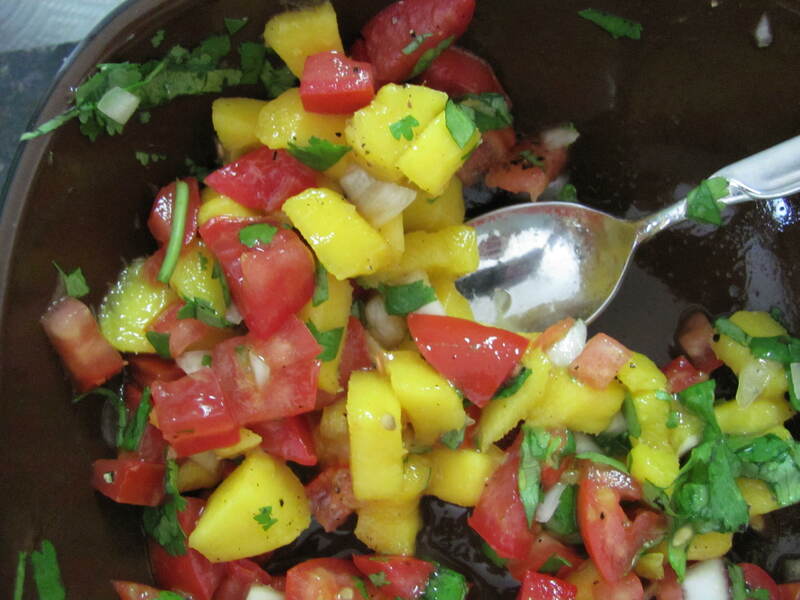 I almost did back flips when I tasted this salsa, and I can’t even do a cartwheel! It’s that good. Hubby and I decided on a Mexican themed lunch today, which involved this amazing salsa, organic black beans, fresh jalapeños, fresh avocado and a delicious, creamy avocado salad dressing that I pretty much made up as I went along. All the goodies were atop a salad of romaine lettuce for me, and inside taco shells for him. Either way, this is definitely a salsa to try! Mix all fruits/veggies together in a medium bowl after you chop them all. Season with black pepper and lime juice and toss to coat evently. Serve with any Mexican themed meal, or whenever you want it! Should make about 6-8 servings. BTW I absolutely love the shoe with the plant in it and your site design! Aw thank you!! I love pink a little too much.